Let everyone know you are a hypnotist just by attaching this Hypnosis Button to your hand bag or wearing on your clothes. This button is a custom full color (black back ground and white lettering) 3 1/2 inch round pinback button. The button is imprinted with saying of you being a hypnotist. 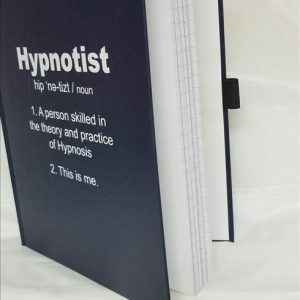 Let everyone know you are a Hypnotist.